It is with pleasure that the STORM project consortium announces this newsletter. At the end of March 2019 the H2020 STORM project financed by the H2020 programme of the European Commission comes to an end. During the 4 years of research and innovation the STORM project focused on the development, demonstration and implementation of an advanced district heating controller based on self-learning algorithms. 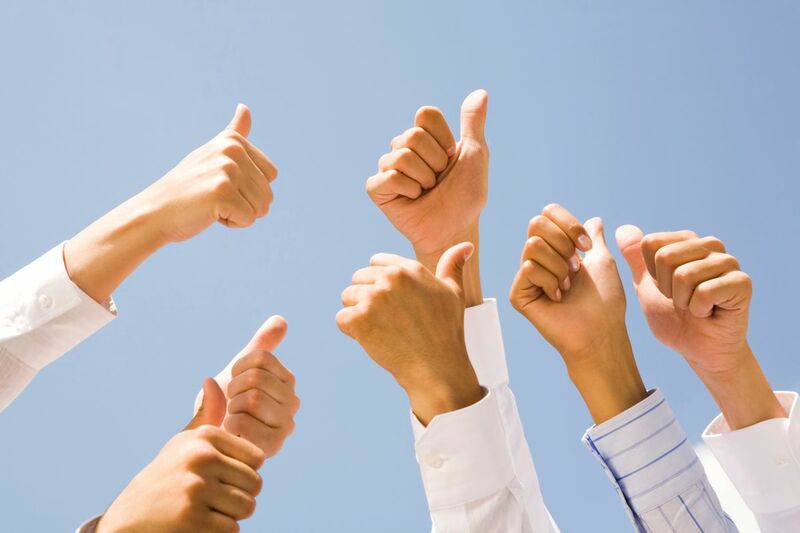 In the last months the focus of the project was on the evaluation of the STORM controller performance, the development of innovative business models and on exploitation and replication activities of the project partners. This was further supported by educational activities. In the next paragraphs you will find more information on the above mentioned topics. 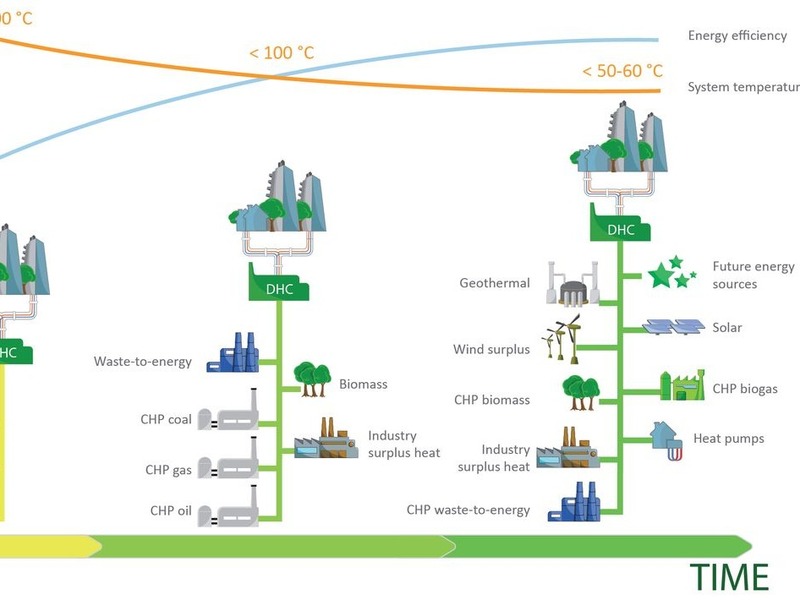 The combination of digitalization with district heating networks was one of its major achievements and the potential of district heating networks in our future energy system was furthermore strengthened. 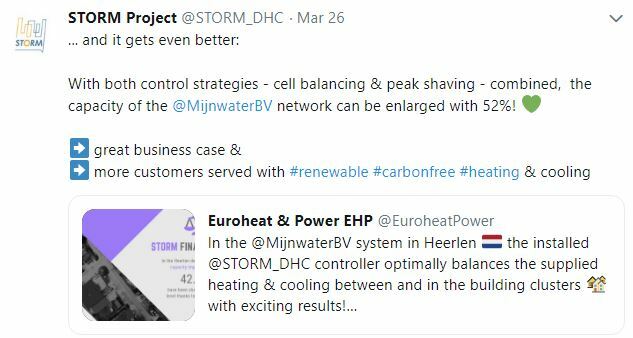 For the future, we will continue with updating the STORM website and Twitter account with news on the STORM controller technology and we invite you to follow our other research and innovation projects. Furthermore, commercial activities with the STORM controller and with district heating technology will be continued. As a last message, I would also like to thank all partners for their dedication to the project and to the work delivered in the last 4 years. These 4 years were certainly not easy and as always have their ups and downs but after all the consortium combined their strengths in realizing this project and its objectives. And for this I thank you! Enjoy reading our latest newsletter of the STORM project! We summarised some of the final results for you in an infographic! During the course of the STORM project, we offered a number of free project trainings for both professionals and Universities and teaching institutions. Based on these trainings, we recorded some webinars so you can still benefit from the content that has been developed. To get an introduction into the world of District Heating and Cooling four webinar presentations have been created by ZUYD Hogeschool. Click on the links to access the webinars! Sector Coupling & Integration of Multiple Sources. The idea for this Roadmap was inspired by the STORM project, which is at the forefront of digital innovation in DHC. An updated version will be released in the coming weeks, including case studies - amongst which STORM - and explanations on horizontal topics such as Big Data and AI. Stay tuned for more! At the end of the project, we asked the demonstration sites to provide some insights on their experiences with the STORM controller during the last years. Both demo site operators were more than enthusiastic about the test results and the potentials that the STORM controller unlocked for them. The fact that both demonstration sites also intend to keep the controller installed in their sites and continue working on the further development speaks for itself.